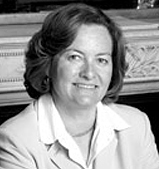 Michele joined Quilvest in 2005 as Partner in charge of all Quilvest private equity fund investments in the US. She became a Senior Advisor in 2018 and is a member of the Investment Committees for developed and emerging markets fund programs. Michele has over 30 years of private equity and banking experience. For 3 years, she managed private fund investments for Royal Bank of Canada, consulting extensively throughout North America to investors interested in the asset class. Prior to RBC, she was with JPMorgan Chase and its predecessors for over 22 years. She oversaw clients’ multi-manager private equity portfolios for Chase Alternative Asset Management, Inc., conducted due diligence and made investment recommendations for Chase’s private equity funds of funds, managing over US $1 billion in the portfolios. Earlier in her career with JPMC, she held various management positions in Private Banking, Corporate Banking, Acquisition Finance and Risk Management. Michele also recently assumed the role of US Advisory Director for Campbell Lutyens, a global placement and advisory firm to private alternative investments industries. She holds an MBA from the Whittemore School at the University of New Hampshire and an AB in Economics and Psychology from Smith College. She is married with two sons.